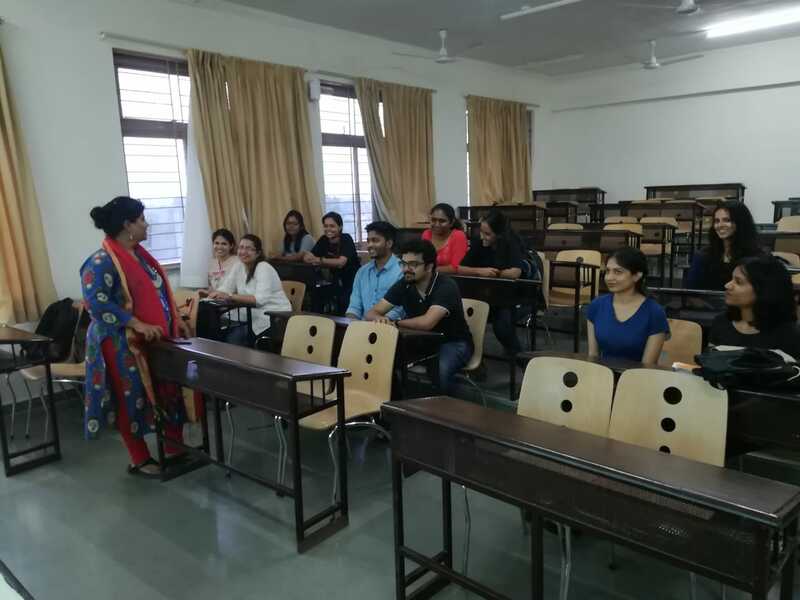 A guest lecture by Ms. Swati Ghan, corporate trainer, was arranged for the HR batch of 2017-19, on the topic of ‘Employee Engagement—No Rocket Science’. Ms. Ghan outlined the challenges faced by the millennials in today’s corporate world and the challenges faced by the leaders in dealing with the young workforce. Ms. Ghan also lauded the teachings of renowned speaker Simon Sinek and showed a short video to the class. Ms Ghan elaborated the challenges faced by HR in today’s corporate world and also the latest trends in the industry. She also spoke about the necessity of having diversity at the workplace. She conducted an activity in which the students were divided into groups and were allotted various aspects that come under the purview of HR. The students had to come up with innovative ideas to improve their particular area of HR to improve the overall working conditions in an organization. The ideas were then collectively discussed by all the groups. The session proved to be highly interactive one.